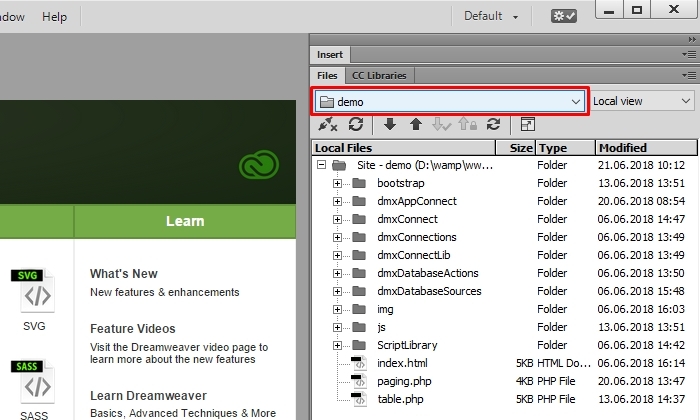 In this short Wappler tutorial we will show you how to export all your site definitions from Dreamweaver so they can be imported directly into Wappler. 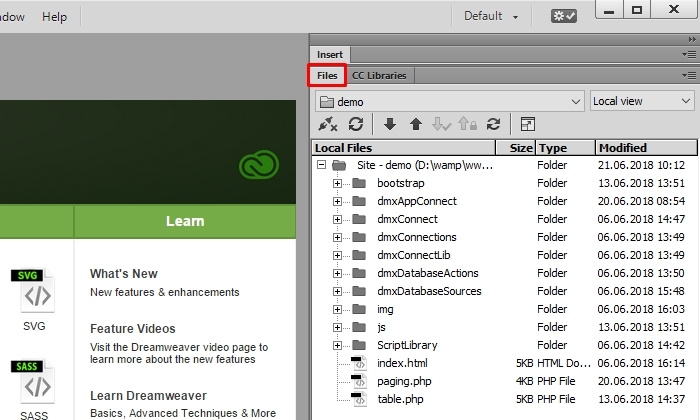 Your imported Dreamweaver site definitions will retain all the targets, usernames and passwords. 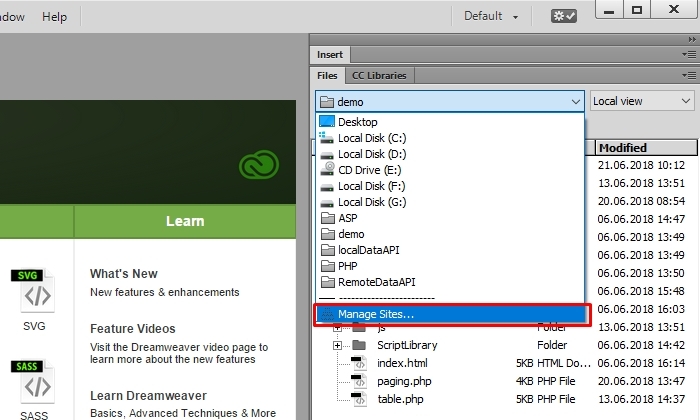 Step 1: Export your site definition from within Dreamweaver. Launch Dreamweaver and go to the files panel. 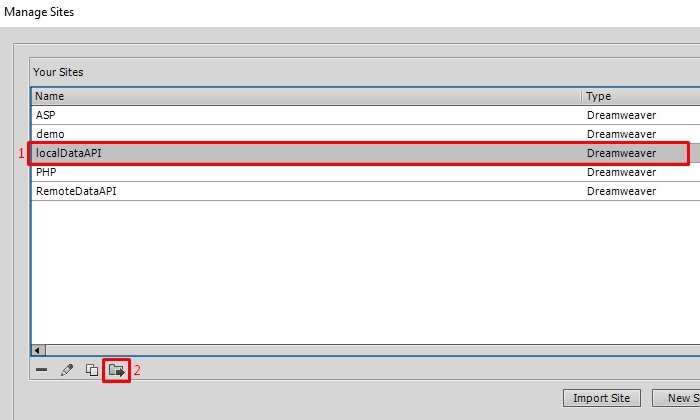 Step 2: Then open the sites drop-down menu highlighted below. 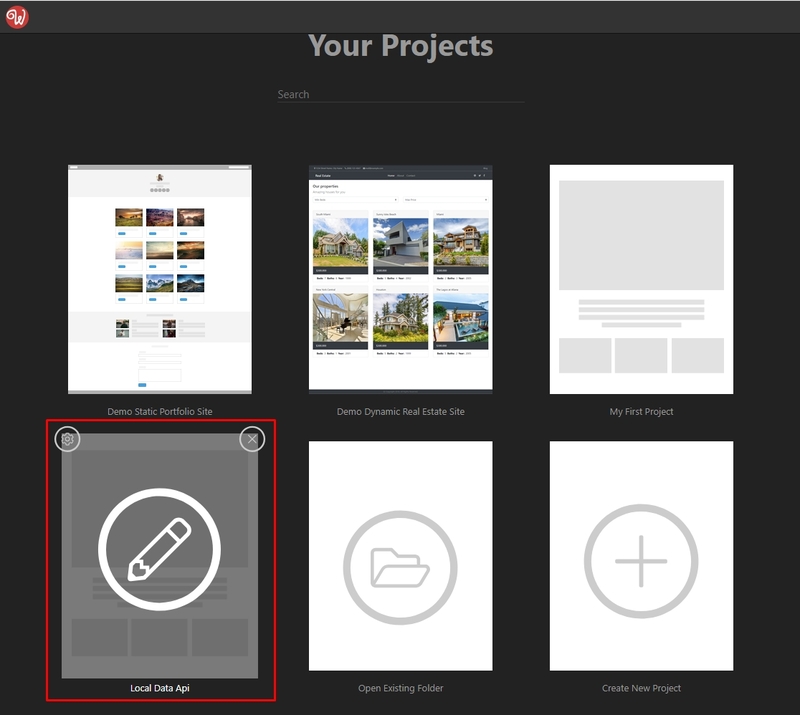 Step 4: In the Manage Sites menu select which site(s) you want to export(1) and then click the export site icon(2). 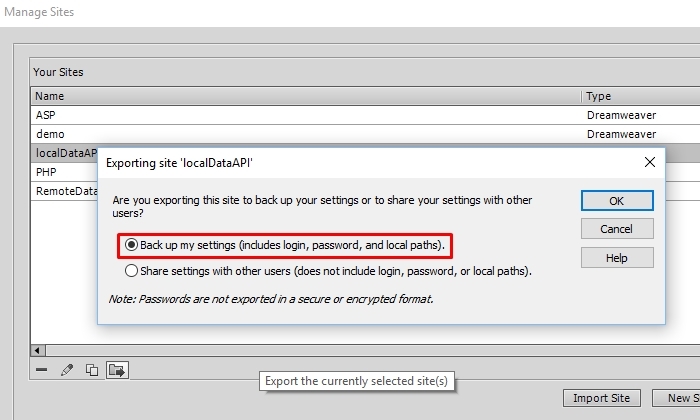 Step 5: Select - “Back up my settings…” option. This will export the site including logins, passwords and local paths. 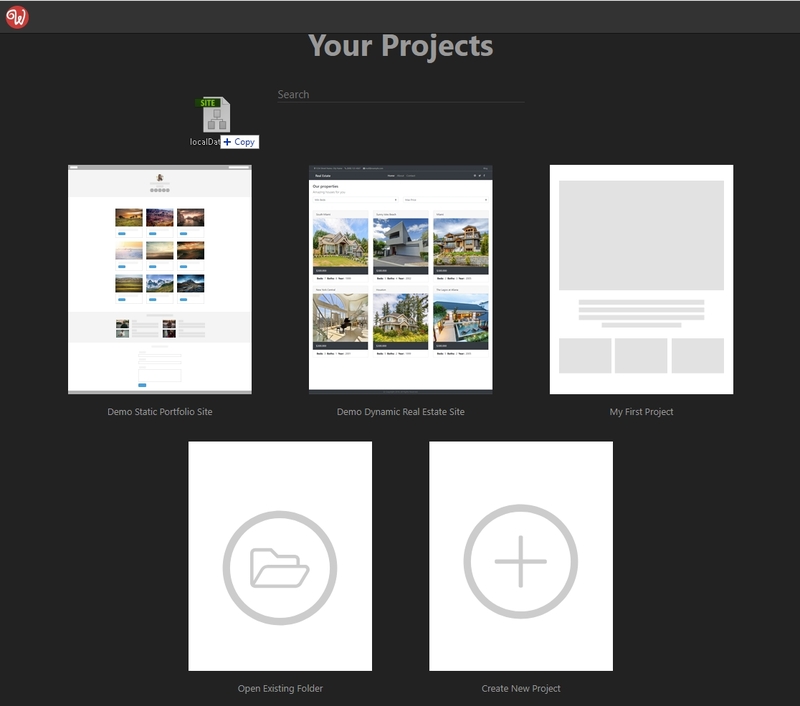 Step 6: Then launch Wappler - open the Projects panel and drag & drop the exported site definition file. 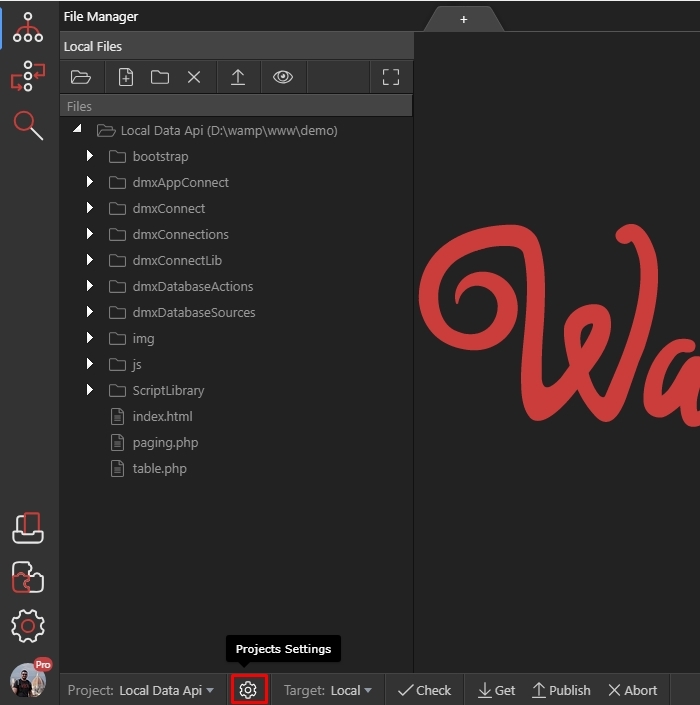 Step 7: Wappler automatically creates a new project, so you can quickly open and work on it. 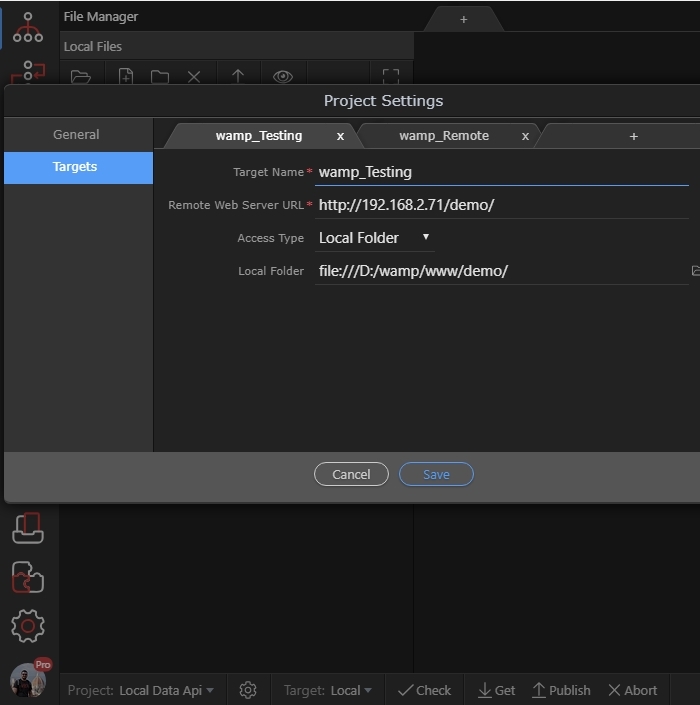 Step 8: Let’s open the project settings from the highlighted gear icon. Step 9: You can see all of your targets, paths and login details imported here.